Home / shop / sale / american made. vermont born. Vermont is where Ethan Allen's legacy began—for both the company and the Revolutionary War hero. Even as we've become a global business, we continue to be defined by American craftsmanship ideals. 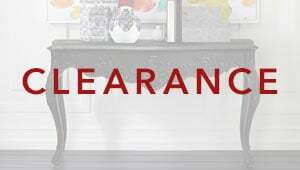 To celebrate our roots, we're offering special savings on a beautifully curated collection of American-made furniture. Each custom wood furniture piece in this sale is crafted in either our Vermont or our North Carolina plants. This exclusive selection of American wood furniture includes beds, dressers, chests, night tables, writing desks, dining furniture, and bookcases, each marked by the exceptional attention to detail and quality that you expect from Ethan Allen. Take advantage of this offer to add fresh styles to your bedroom, dining room, home office and more—and take advantage of our complimentary interior design service to put the perfect look together.